Yet in the last five years, the seven-member Commission appointed by New Mexico Governor Susana Martinez has made decisions that are pushing the critically endangered Mexican Gray Wolf closer to extinction and has put a bull’s-eye on bears and cougars like never before. Read more via the Santa Fe New Mexican. Should the Governor have the power to trump the science of saving a species? What say you? For those in New Mexico, please consider standing for wolves with our friends from MexicanWolves.org at a rally during the next Commission meeting on August 27th. Lobos need our voices during this crucial time for Mexican gray wolf recovery. Stand for wolves with us at a rally during the August 27th Commission meeting to give wolves a voice during this crucial time for Mexican gray wolf recovery. More information here. The rally will be held at 8am before the meeting begins. The meeting starts at 8:30am with the Mexican gray wolf items 8-10 on the agenda. 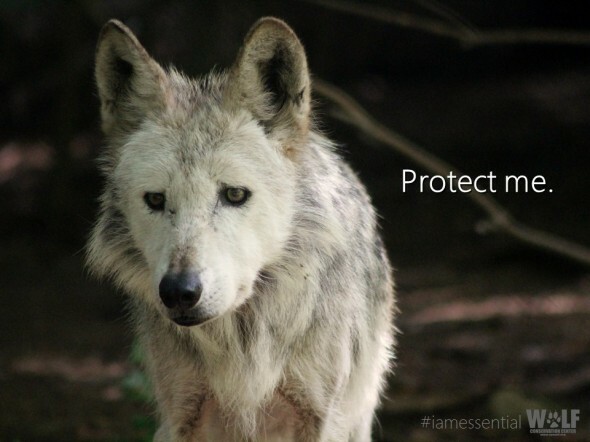 Responses to "New Mexico Game Commission Pushing Endangered Mexican Wolf Closer to Extinction"
Please let our wolves live and have a presence here on this earth. Let them BE ! All animals were made by our Great Creator and have the right to bear witness of how we love and live with our families.....just like you.